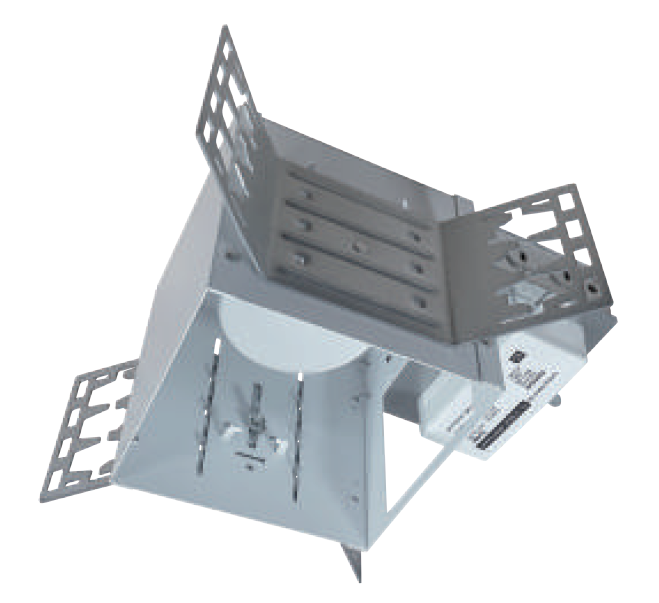 The MAL505, Square 5”X5” fixture is designed for accent lighting and is provided with a solid state LED engine with integrated aluminum heat sink. The dual reflector system provides excellent cutoff. The electronic, Universal driver is isolated for reliability on the junction box and can be accessed from below the ceiling. Offered in three wattages, 14W, 23W and 30W, the luminaire has a rated LM70 life of 50,000 hours and has high efficacy for long term energy savings. Suitable for Wet Locations. • Listed for through branch circuit wiring. (Max.8 No 12 AWG 90˚C branch circuit conductors.) •	(5)1/2" knockouts with pry-out slots and (4) knockouts for Romex cable clamp. •	Ground wire provided on J-box. 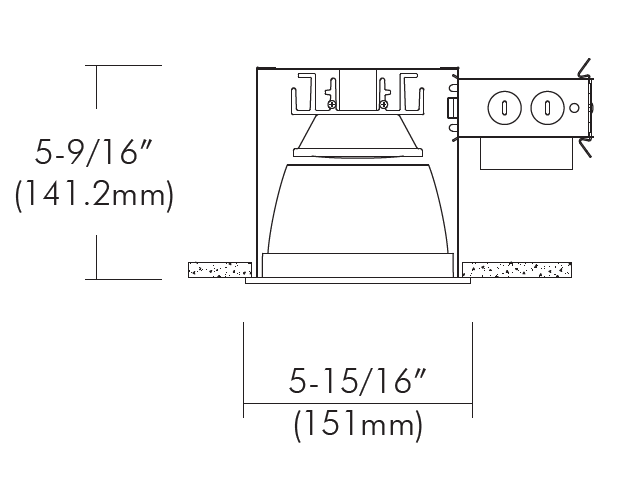 •	Commercial mounting kit provides up to 5" vertical adjustment for accommodates 1/2" •	EMT conduit, optional HBC-24 bar hanger or lathing channels for T-bar grid or concealed spline ceiling. The aluminum heat sink was computer designed with simulation software to quickly distribute the heat away from the LED module to reduce the LED junction temperature in order to maintain constant light output, color and life of electronic components. See “Trims” spec sheet for selection or ordering information. •	Precisely designed Inner Reflector attaches to the LED module to provide precise beam control and reduces glare. •	Glass Lens: translucent tempered glass provides high lumen transmission and diffusion for even llumination. •	Universal, 120~277V input, high efficacy drivers with dimming capability by ① a Triac 120V low voltage electronic dimmer switches or ② 0-10V, Triac & ELV dimmer switches. •	Drivers feature power factor >.90, THD <20% with integral thermal protection to sense over temperature or electrical issues. •	Driver installed on junction box door for easy access below ceiling.